As the organizer and main sponsor of Tee It Up for the Troops Wanakah, GCW Capital Group is pleased to announce that in the tournament's first two years, almost a quarter of a million dollars has been raised to directly benefit local and national veterans, active military and their families. That impressive amount is, in part, due to your our tournament sponsors and for that, we are most grateful. We’re also pleased to announce that the TIUW Committee has already been meeting to plan this year’s event, with exciting new tournament offerings,including our VIP Sponsorship. Any sponsor who registers by May 1st at a level of $350 or more per golfer, FOR A FOURSOME, will earn VIP status, which includes express pro shop check-in on the day of the tournament. No standing in line. No waiting. Your cart will be outside the pro shop filled with all your tournament information, ready for your clubs. 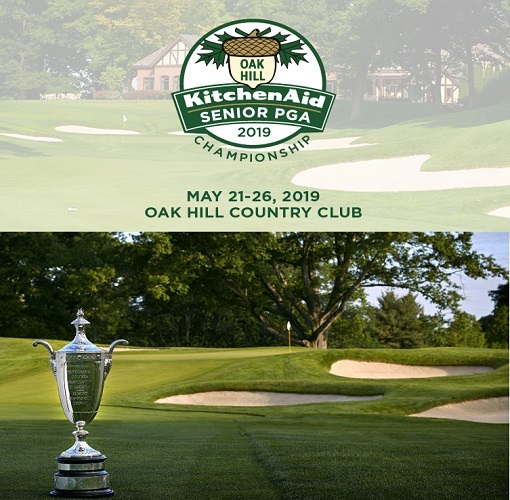 Each VIP Sponsorship also includes four tickets to the KitchenAid Senior PGA Championship May 21 - May 26 at Oak Hill Country Club in Rochester for all five days of the tournament. VIP Registration is quick and easy. 1) Click on this link and you'll be taken to our sponsor webpage. http://bit.ly/2PerpO9. 2) Look for sponsorship categories noted as "VIP Eligible." 3) Choose your sponsorship level, fill in the quantity and click the continue button at the bottom of the page. 4) Fill in your team information and pay. 5) Once you have registered, we will contact you about receiving your PGA Senior Championship tickets. If you have any questions, feel free to reach out to Shawn Glogowski (sglogowski@gcwcapital.com). We look forward to welcoming you to Wanakah Country Club on September 9th for Tee It Up for the Troops Wanakah 2019.